What's the meaning of the phrase 'Beyond a shadow of a doubt'? If something is said to be 'beyond a shadow of a doubt' the speaker is certain that it is true, with no possibility of ambiguity. What's the origin of the phrase 'Beyond a shadow of a doubt'? 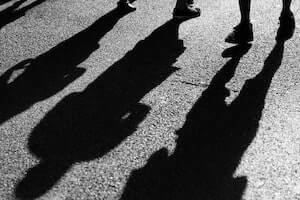 The expression 'beyond a shadow of a doubt' or, as it was more commonly expressed in the past, 'without a shadow of a doubt' originated in England in the 18th century. Least instead of a man, ye finde but the shadowe of a man. 'Without/beyond a shadow of a doubt' was coined in the same way, to indicate something not merely 'without doubt' but without even the smallest, most insubstantial scrap of doubt. That he [the judge] was innocent of the crime his evidences would prove. His evidences... proved an alibi in the clearest manner imaginable; but what confirmed this beyond the shadow of a doubt was that he was then [in court] trying a robbery. The 'without' form of the expression emerged a in the mid-19th century but has faded somewhat and the 'beyond' form is now far more widely used.